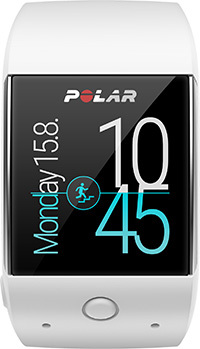 Polar M600 is the GPS sports smartwatch from the pioneers of heart rate tracking and smart coaching. Polar M600 is robust and built to last. In addition to the color touchscreen, it has 2 buttons for quick control during training. Changeable silicone wristbands available in black, white and red. Delivers motivating feedback immediately after training describing the effect of your session. 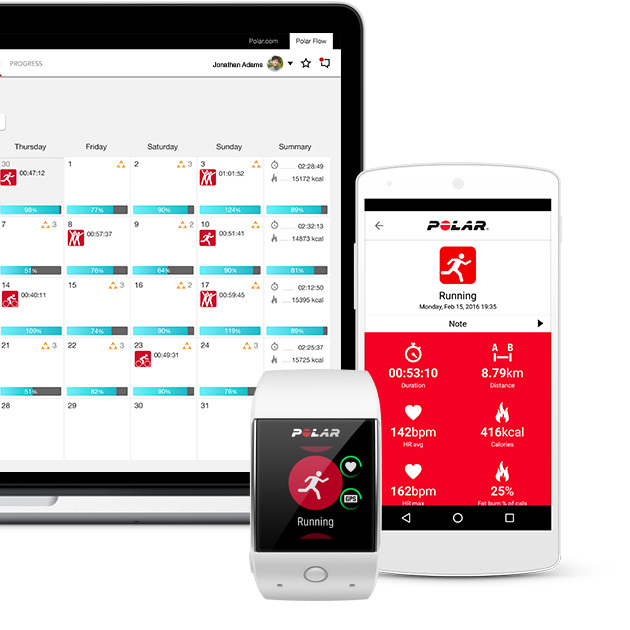 Polar provides over a hundred different sport profiles which enables you to choose the right one for your training sessions, and get sport-specific reports and feedback. All sport profiles are based on specific logic and give you the most accurate data, for example, about calories burned. Manage your sport profiles in the Flow web service. 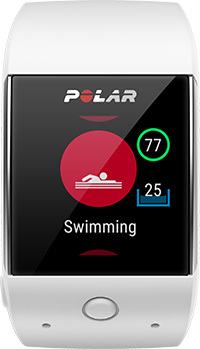 See your indoor swimming metrics such as distance and pace, as well as strokes per minute and strokes per pool length with the waterproof Polar M600 (IPX8). Polar M600 is compatible with the Polar H10 heart rate sensor. 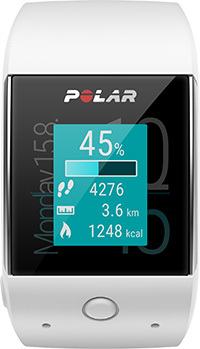 Track your 24/7 activity, steps, distance and calories burned with the waterproof Polar M600. Plan your training sessions and set targets. 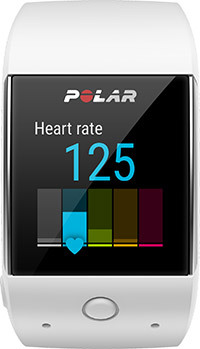 Track your training with Polar M600 and analyze your overall fitness and health in Polar Flow.